What is Racketeering? What does it mean? Excellent question. What, exactly, is racketeering? It is a term you may have heard more than a few times in your life, primarily on television and in movies. When you think about which movies typically toss around the term, ‘racketeering with reckless abandon’ you will realize, it is usually heard in crime movies. This is for a good reason. Racketeering is typically associated with organized crime. However, it can be committed by anyone. Let’s look a little closer. 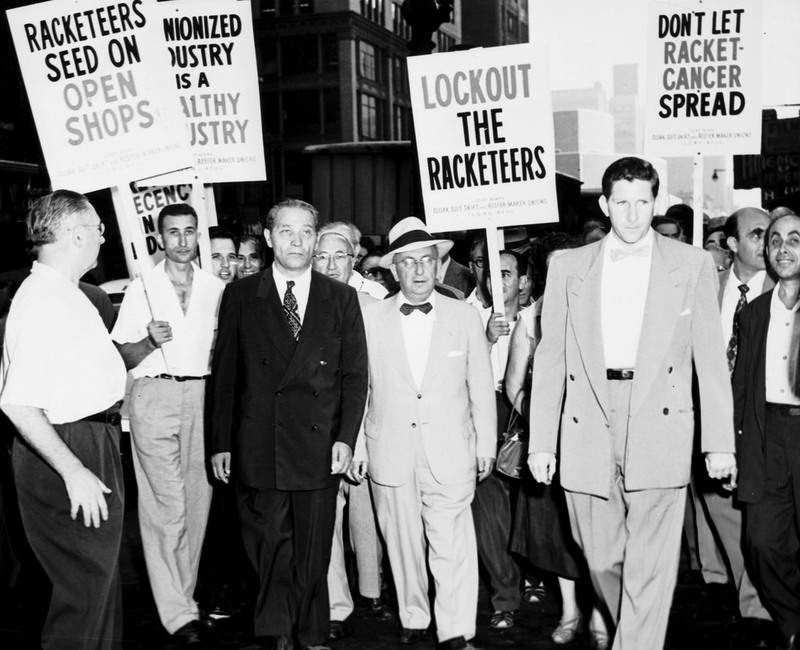 The term ‘racketeering’ was first used in 1927 by the Employer’s Association of Chicago in a document describing the influence of organized crime in the Teamsters Union. Essentially, racketeering is defined as offering a dishonest service to fill a need that would not naturally exist. For example, a “security company” may engage in racketeering by offering protection from break-ins, when they themselves are organizing and committing break-ins in the area. Racketeering can also involve extorting money from individuals through direct and indirect threats. Gangs and criminal groups can be found guilty or racketeering and all know members of the organizations can be charged for the same violation through the RICO Act. The RICO Act, or the Racketeering Influence and Corrupt Organizations Act was established by Congress in 1970. The RICO Act empowered lawmakers and law enforcement agencies to act against organized crime. It enabled the Attorney General to designate law enforcement and prosecution divisions to investigate suspected racketeers. Commonly, organized crime rackets may include elements of drug trafficking, counterfeiting, prostitution, or blackmail. In order to be tried under the RICO Act, there must be a consistent pattern of related violations within a 10-year period of time. The criminal penalties for racketeering alone may include up to 20 years in prison. This is in addition to the underlying crime that was committed in the racketeering operation. Caught up in white collar crime? Contact Van Norman Law when you’re in need of a criminal defense lawyer in Phoenix!